Disclaimer: No sponsoring here. These are all my honest opinions about some favorite products and practices. Helloooo friends. 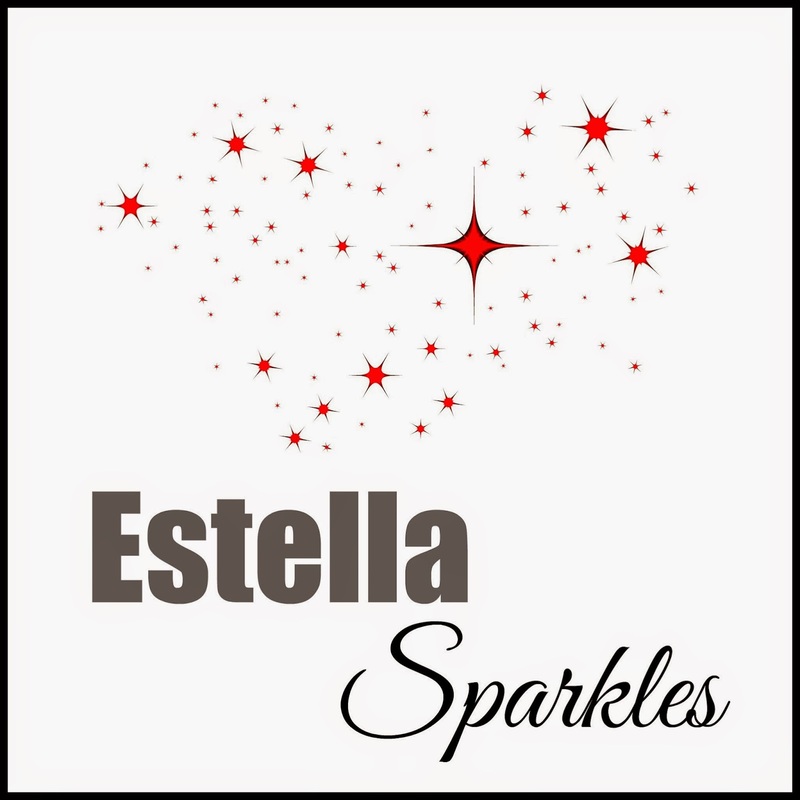 So I've decided to name my weekly makeup posts "Estella Sparkles." Expect this little category to show up on my header at some point, and if makeup is your bag, you'll know to check out these posts. If not, skip 'em! I also plan to open these posts up meme-style if you all would like to take part, but more on that later. Since my dry skin prompted me to start the makeup journey I've been on lately, I thought I'd suggest some tips, tricks, and products that have worked well for me recently. Dry skin is such a freaking drag because it makes us look older! When skin is dry, it looks more wrinkly, craggy, and crepey, and NO ONE wants that. So basically my whole makeup existence the last few months has been trying to get myself hydrated and then address my skin's texture and how to avoid dryness during the day. Easier said than done! Whenever I start seeing dry patches on my skin, especially noticeable ones that show up with my foundation or BB cream, I exfoliate ASAP. This usually turns out to be two to three times per week in the colder months. 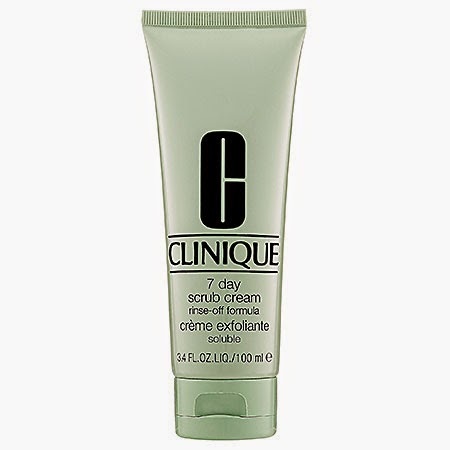 I have used Clinique's 7 Day Scrub for years because I like that there are LOTS of little exfoliating particles in it. It's grittier than most of the drugstore versions I've tried. 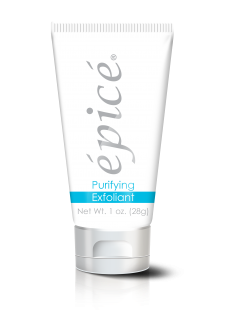 I recently received a travel size of the Epice Purifying Exfoliant in my last Ipsy bag. I love it even MORE than the Clinique, but it's also more expensive. Since the full size (3.3 oz) is on back order, they're offering the 1 oz travel sizes for $4.99 each. I ordered three of them and basically got the equivalent of a full size for $15 when it's usually $30-35. I love my Revlon Colorstay 24 Hour foundation, but just like most other foundations, especially long wearing ones, it has a tendency to settle into my dry skin crags by midday. I follow Wayne Goss, a makeup artist, on YouTube, and he shared a tip that has TOTALLY changed my foundation game. Now I add one single drop of maracuja oil (or any other face oil...argan or whatever) to my foundation in the morning, and it glides on like a dream and stays much more hydrating throughout the day. I'm still a little craggy by quitting time, but I'd say it's 85% better than before. I swear by "face oils" now. By face oil, I just mean non-comedogenic (won't clog pores) oils that are popular moisturizers these days. The ones you'll hear about most often are argan and maracuja. Companies like Josie Maran and Tarte have made these puppies mainstream (and expensive), but you can still buy them from health food stores on the cheap. Since they won't clog pores, I wash my face at night, apply my Eucerin lotion which I use like a moisturizer, and then I top my face and neck off with 3-4 drops of oil. I like to focus it on the driest parts of my face and under my eyes. I do the same thing in the mornings. There's nothing I hate worse than looking in my rearview mirror on my lunch hour and being confronted with flaky dry spots on my face. Not to mention those really obvious fine lines to which dryness brings extra attention. My favorite beauty YouTuber, EmilyNoel83, suggests the e.l.f. Studio Daily Moisture Stick, and now I swear by this thing, too. It's a clear balm product for the face. It's cooling and creamy and delightful. I can either apply a bit to my fingers and tap it into the dry spots to rehydrate them or I just take that whole mo' to my face. I have no qualms about rubbing it directly onto a big dry spot to rehydrate the skin. Sometimes it's just necessary. Applying it with a finger won't disturb foundation or concealer, and if the spot is bad enough that I rub the whole stick on my face, I don't give a flying frak if it does disturb my foundation. On an average day I drink 88+ ounces of water. I can really tell when I drink too little. So those are my dry skin tips for the day! I'm sure I'll think of more or make more discoveries as I continue on this makeup excursion, and I'll be sure to share when I do! I can only imagine what Seattle weather does to the skin! Ha! I'm still on the lookout for a good eye cream or gel. I have a sample of a Benefit product on the way, so we'll see how that goes. I use the Elderflower gel from The Body Shop because it's the only one that doesn't eventually make the skin around my eyes burn. I apparently have very sensitive skin in that one small area. My feet are pretty horrible. Elbows, not so much, but definitely lizard feet. I've been using O'Keeffe's Working Hands on my heels at night under socks. Seems to help! I definitely look like the undead. Good comparison! I have super dry skin but also sensitive skin (Mostly my face). I never know how my skin is going to react to new products. I've had success with Neostrata even though it's expensive. Mine is sensitive too. I had a terrible reaction to Benefit's Porefessional primer, but two similar primers don't bother me at all. Not sure what was in that one! It's always hit or miss. I have rosacea on my forehead and the battle against dry skin is never-ending! At the moment I'm just using cetaphil cleanser & moisturiser, which is what dermatologists recommend for anyone with skin conditions etc. It's super cheap and is actually working pretty well at the moment. In fact, I'm sure my skin would be great if I could just get enough sleep! I've been using Clean and Clear for sensitive skin for years, but I have eyeballed the Cetaphil because I've heard it's really good. I may try it! I did! I wound up buying the lightest shade offered by Maybelline's Dream Fresh BB line. It was about $8.50, so not an enormous investment if I don't like it, but dang is the bottle small! I've only worn it once so far, but I liked what I saw. It isn't super heavy coverage, but it definitely evened out my skin tone without taking ALL the natural ruddiness out of my cheeks. Love these tips! My t-zone is somehow simultaneously oily AND flaky, and now I want to try using facial oil and that E.L.F. moisture stick. My face is dry as the dessert but my eyelids are like an oil slick. I have no idea how that happens. 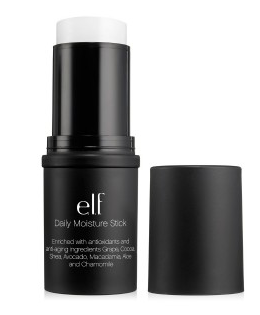 lol The face oil is amazing (bought a full size online today) and the elf stick is holy grail for me now! 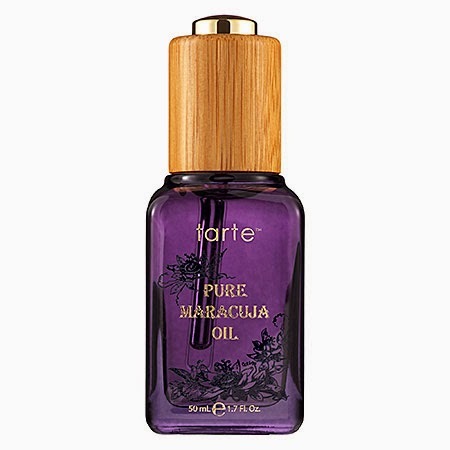 The Tarte Maracuja oil is amazing! It really helps with fine wrinkles. Loving this post, I feel like I'm more combination skin, not too many dry spots. I've got some awful lines on my face that have been sneaking up on me and have just recently smacked me in the mirror. OUCH. I need to moisturize better at night, I know I do...I'm lazy. I love using oils too - have you tried the Origins Plantscription Oil? I mix a drop with my moisturizer in the winter months and it is wonderful. When I use it at night I swear my face is super soft in the morning. I need to look for that Elf Stick! And, would love to hear about other Youtube beauty gurus you recommend. Buying the ELF stick now. It sounds like exactly what I've been looking for and I'm a fan of their products.